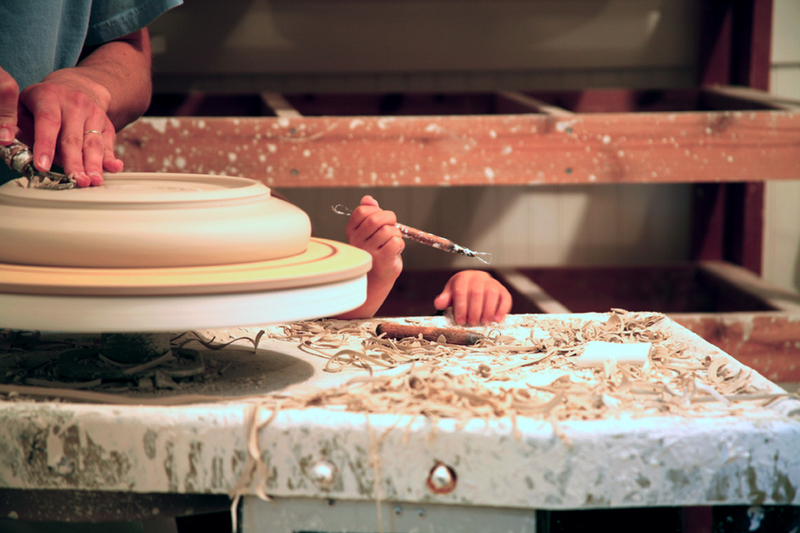 Hands of Amy Smith and her daughter, at the potter's wheel. I have been patiently waiting since four-thirty this morning to write this article. Now, at eight p.m., I am in my basement studio ecstatic to put to paper—or more accurately, to screen—the words I have imagined writing all day, for the last month, and since I had my first child four years ago. Nothing illuminates the difficulties of being a parent more clearly than becoming a first-time mom, and they can be summarized as four main problems. First, the logistical and financial implications of children are infinite, complex, and not fully comprehensible to the childless. Our society does not value or appropriately compensate new parents, childcare, and domestic work. Parents are judged for what they do and don’t do. Finally, we idolize women who swiftly bounce back (physically, emotionally, professionally) to their pre-motherhood selves. Throughout my formal education, all of my influential teachers (whose mentorship I deeply treasure) were men and childless. “Acting more like a man” never felt odd because it was how I was raised; it was the brand of feminism I learned. 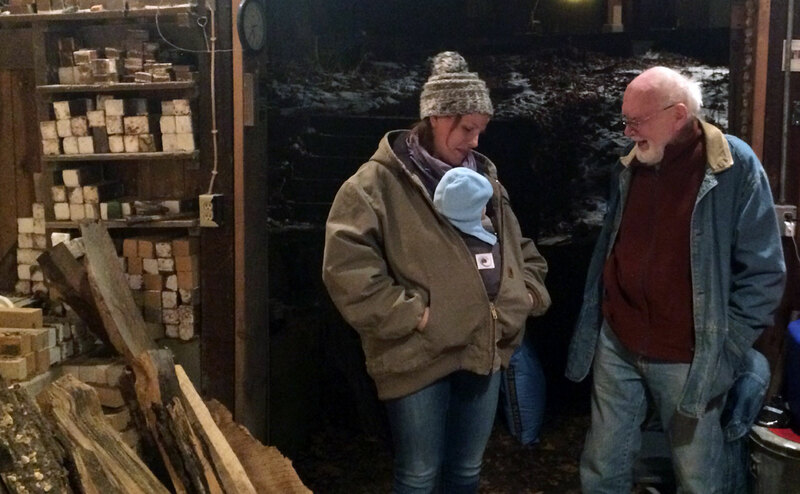 But the most visceral feeling I had as a new mom was of not belonging. The masculine paradigm in our artistic communities still affects behavior and excludes acknowledgement of the biology, emotions, and circumstances of artist/mothers. As I read about other artist-mothers and contemplated our unique situation, I began to wonder, “Did having a child unlock some form of creativity in us?” The pragmatist in me says no. It often appears that the circumstances of pregnancy and children drive the changes. For example, an artist switches from throwing to hand-building because she cannot bend over to throw. The idealist in me says yes, but, from the romantic perspective, “creativity” seems too trite a term. What women experience when they become mothers is a deeper understanding of and connection to the human experience. In the fall of 2012, when my daughter was five months old, my husband suffered a nasty bike accident. He was left with a broken collarbone, and I was left feeling more like a single mother of two than the parent of an only child. Both were unable to put on their socks and feed themselves. I lost the minimal time I had had for my studio. All my time was spent caring for my family and working my job as a studio technician in a college art department. At this juncture, I recognized a need for new canons that reflect a sustainable, balanced life for working parents. I wanted to explore the reasons why parents—particularly mothers—become excluded from opportunities in our field. I wanted to address how admiration for women who return to their childless selves invalidates motherhood. 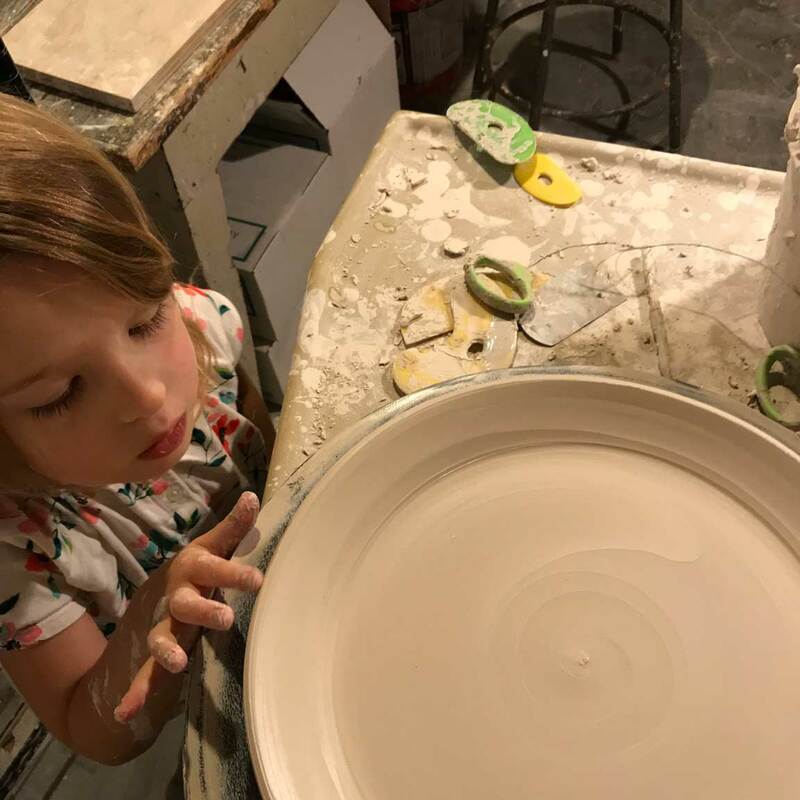 I had many questions to ask other practicing artist-moms, specifically those working in clay, because it demands different timing and commitment than do other mediums. I wanted to find my tribe. In 2013, I began surveying and interviewing ceramic artists who are mothers and documenting their stories. (I was, however, compelled to take breaks from the project because of the morning sickness accompanying my second pregnancy and the arrival of my son in 2014.) I sought to examine how children impact these artists’ choices about what to make and how to make it. My questions covered studio practice, time management, life balance, domestic chores, relationships, childcare, and aesthetics. I also asked interviewees who their role models were in the ceramic field. Gail Kendall, Kari Radasch, Judy Onofrio, Karen Karnes, Jan McKeachie-Johnston, and Eva Kwong were repeatedly named. I was intrigued by the common threads that ran through our conversations and how each of the women navigated balancing studio practice with the rest of her life. My investigation culminated in the creation of the website Both Artist and Mother (bothartistandmother.com). I started doing the audio interviews not knowing what I was really getting into. I secured a grant to edit the audio recordings and build the site to house them but needed an additional grant to conduct and edit more interviews. To continue my conversations without the labor, costs, and funding necessary for that, I arranged a monthly feature, for which I craft questions and communicate with the person ahead of time. I have a selection of standard questions for everyone and tailor a number of questions to each artist. 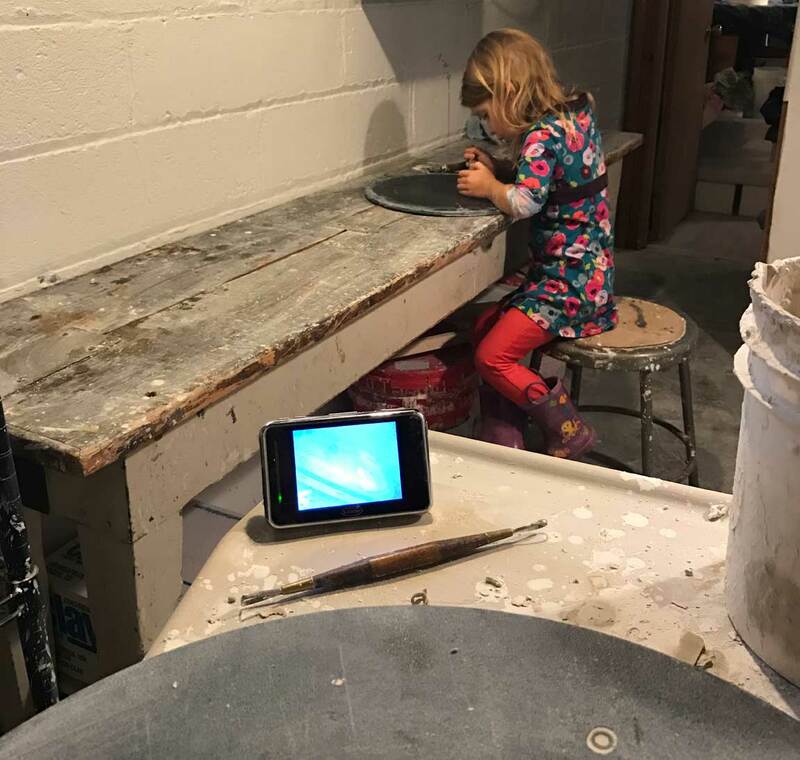 I felt I had become the conversation-keeper for discussions about being an artist-mother in the ceramics world, but the Artist/Mother of the Month feature became a door into a previously unexplored world of these women working in all kinds of mediums. Working artist-mothers and activists, such as Lenka Clayton, Shira Richter, and Courtney Kessel, make captivating work about the intersection of their roles as parents and artists. Lenka Clayton, after completing a grant-funded residency in her house while caring for a small child, spearheaded a movement of women completing at-home residencies while caring for children (artistresidencyinmotherhood.com). The struggles and joys of mothering-artists is also beautifully documented in the films Lost in Living by Mary Trunk and Who Does She Think She Is? by Pamela Tanner Boll. A common theme of all the interviews was redefining success—something that could have as much to do with age as it does parenthood. As mothers, we often redefine what artistic and professional success is. The mother-artists repeatedly defined success in holistic and internal terms, as opposed to an external interpretation that values accolades and ladder-climbing. Another issue that came up repeatedly was guilt: We feel guilty for not being with our children when we are in the studio; we feel guilty for wishing ourselves in the studio when we are with our children. Accommodating another human in our lives alters our emotions, ideas, and ways of working. Both Artist and Mother showed me that the circumstances of motherhood, rather than it as subject matter, tended to drive shifts in an artist’s work. The taboo question “How did children, or the changes you made as you chose to include children in your life, impact your artwork?” provided the greatest source material for me. A mother’s willingness to give an answer this question openly, with all of its messiness, makes her approachable and vulnerable. It is also what makes her an artist-mother role model. 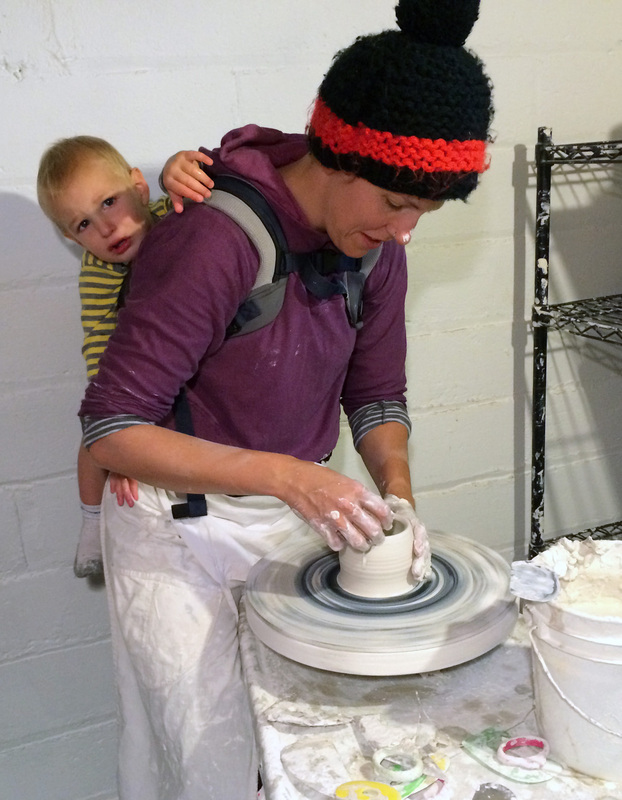 Clay artist, technician, teacher, mom and solo-sport lover, Kate Fisher lives and works in the Minneapolis, Minnesota.